By Garett Sloane . Published on October 05, 2017. 'False flag' was among search suggestions on YouTube, but now appears to be removed. YouTube suggested terms including "false flag" for a time on Thursday to people who started searching for video about the Las Vegas shooting. 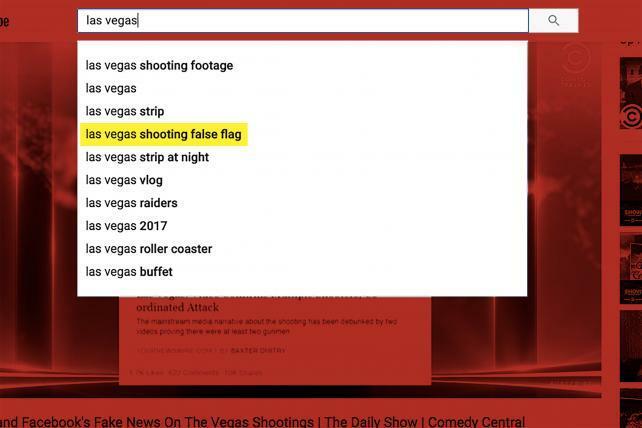 A person only had to type in "Las Ve" before the Google-owned video site offered a list of suggestions, of which Las Vegas "shooting false flag" was up there with "shooting footage" and simple "strip." 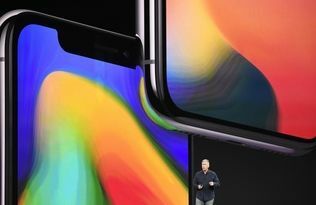 The suggestion seems to have been halted by late Thursday, as Google and YouTube continued to work on presenting the most credible news related to the weekend's mass shooting. Allegations of false flag operations—in which one group covertly commits a horrendous act to discredit another group—spread after almost every tragic event, and the Las Vegas shooting was no different. Google and Facebook have both been criticized for allowing erroneous reports and fake news to circulate prominently on their sites. The motivation of the Las Vegas perpetrator has been contested and exploited for political purposes, even though little or nothing is known on that score. There are people who seem interested in linking the attack to foreign terrorists, one political party or the other, and the "Antifa," the anti-fascist group that far-right groups want to associate with mass murder. In the absence of hard information, digital platforms have become hotbeds of misleading claims and bad journalism. On Thursday, YouTube reportedly tweaked its algorithm so conspiracy videos, a popular genre on the platform, appeared less prominently in search results. But a viewer who watched one conspiracy video Thusday afternoon still saw suggestions to watch a lineup of similar videos. Alex Jones, the bombastic conspiracy peddler behind InfoWars, is perhaps the best known false flag enthusiast on the site. His are the quintessential paranoia videos, taking viewers into a parallel plane of reality where no one is to be trusted, everyone has an agenda and all are suspect--except Jones, of course. In one recent video, Jones watches the brother of the Las Vegas shooter answer media about what he knew. "This guy is the worst actor," Jones says. Jones is also the Sandy Hook massacre truther who had claimed that shooting was a hoax perpetrated by the government to make it easier to take away guns. Jones isn't even the worst of them; he's just among the better known. Videos by others blame a Masonic plot for the Las Vegas shooting. Facebook has also been criticized for elevating inaccurate posts from questionable news sites like RT, the Russia-backed site that at one point blamed ISIS for the attack. Facebook had to remove the post from its trending section; RT later posted that U.S. authorities didn't believe ISIS's claim of responsibility.